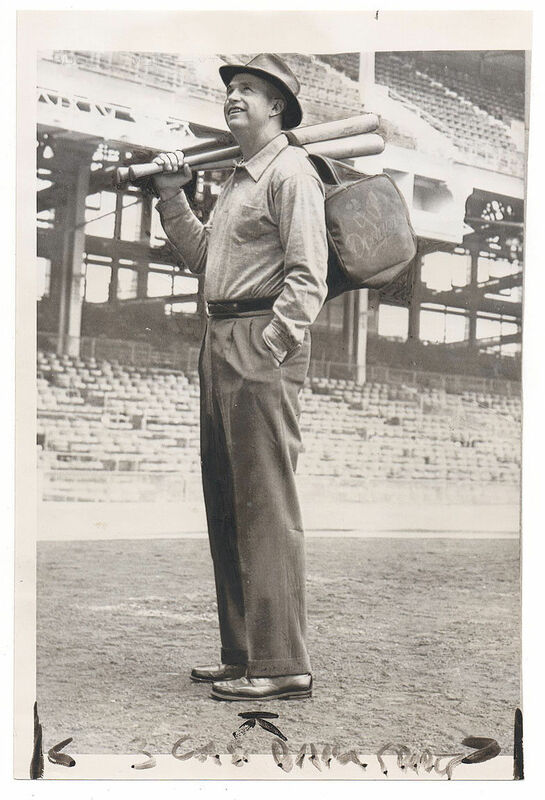 I don't know if I've ever seen a photo like this of Ebbets Field. 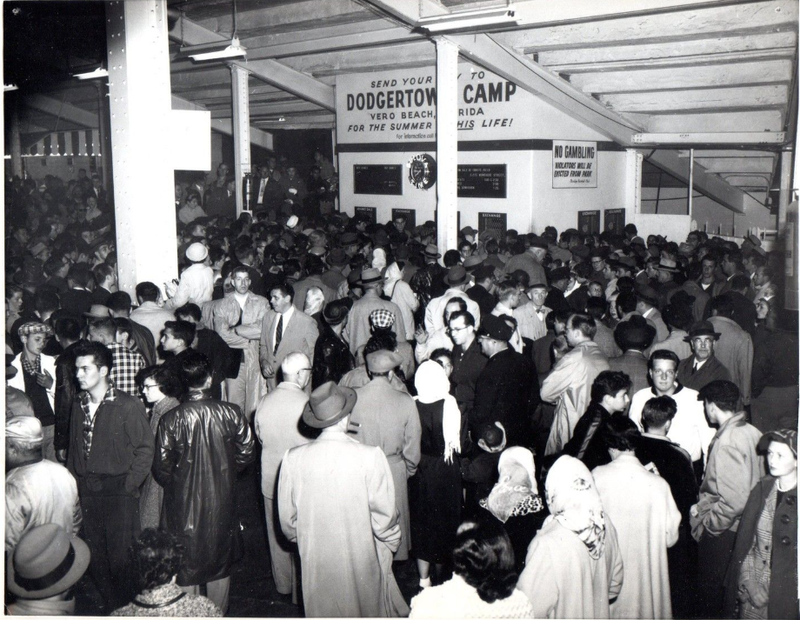 Featured above is said to be a 1956 UPI press photo showing a gaggle of Brooklyn Dodger fans milling about within the bowels of Ebbets Field (eBay Auction Link). 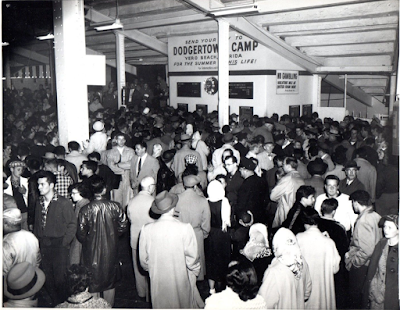 Clearly under that stadium grandstands, there appears to be a ticket sales booth in the background and a large advertisement telling fans to send your kin to Dodgertown Camp in Vero Beach over the winter. "For The Summer of His Life"
Best yet, a 'No Gambling' sign is seen, as well. This Day in Dodgers History: In 1952, on a local NBC TV program called "Youth Wants to Know," Jackie Robinson charged that the New York Yankees management is racist for its failure to scout, sign and bring up black players. GM George Weiss of the Yanks denied the allegations, saying that the team welcomed black ballplayers, "good enough to make the team." (The Brooklyn Daily Eagle, 12/1/1952, p. 11) Elston Howard would become New York's first black player in 1955. In 1995 the Dodgers signed free agent shortstop Greg Gagne to a two-year $5.6 Million contract. 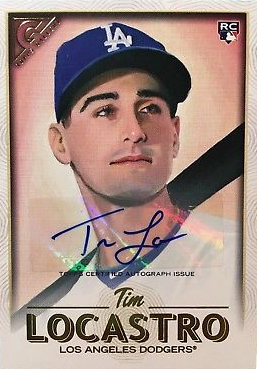 The speedy infielder slashed .253/.315/.359/.673 with an 1.9 WAR for Los Angeles. Happy Birthday, Tacks Latimer, Win Ballou, Gary Wayne, Clyde Sukeforth & Shane Victorino! 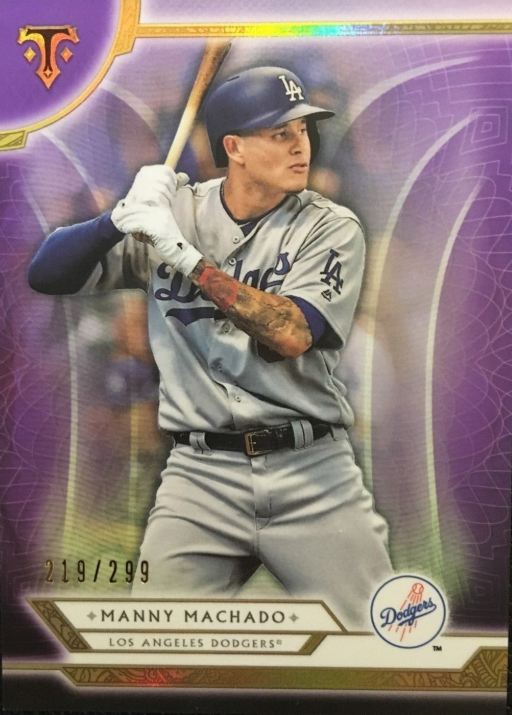 Here is a last look at the Dodgers' found in packs of Topps 2018 Gallery brand. Featured below are most of the various inserts that are available. 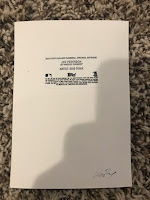 You can check out the base cards here. Of note, the original drawings used to create these cards are randomly inserted into packs. 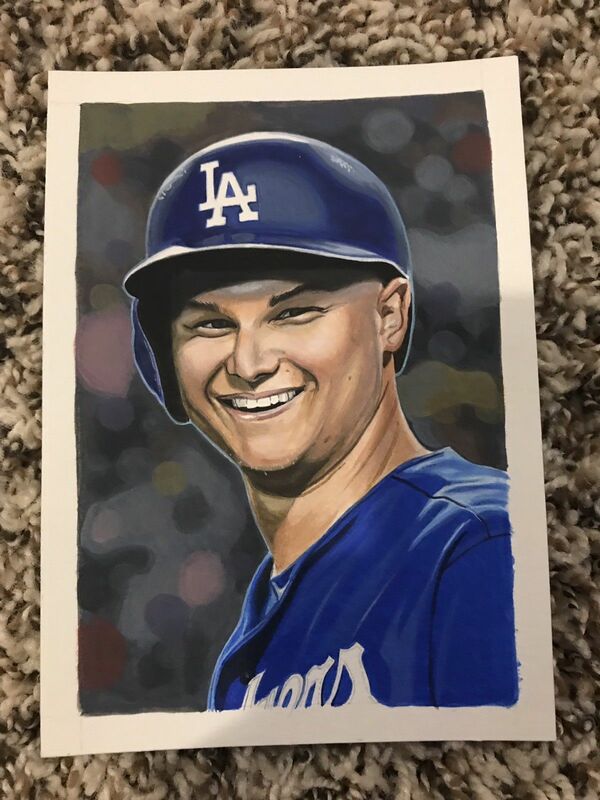 So far, I've only seen the Joc Pederson drawing (see it below) and it can be purchased on eBay for $149.99 (link here). 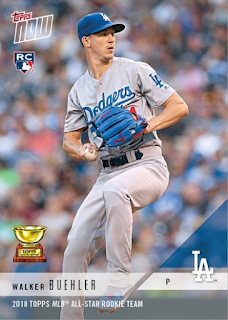 Check out the Dodgers' inserts below. Here's a brand new online exclusive card being made available through Topps. It is a holiday advent card set and up for sale is a Clayton Kershaw card (see it above on the right). It's a 20 card set with each card being made available on separate days. The Kershaw sale closes today. Go here for more information. 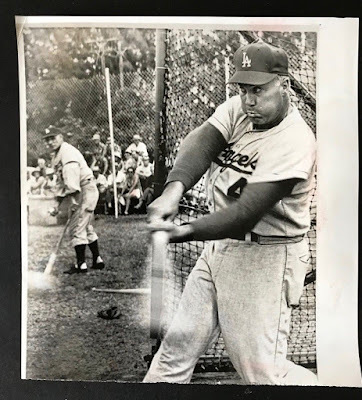 This Day in Dodgers History: In 1966 the Dodgers trade two-time batting champ Tommy Davis and outfielder Derrell Griffith to the Mets for infielder Ron Hunt and outfielder 'Gentleman' Jim Hickman, who leaves New York as the franchise's all-time home run leader with 60. In 2010 the Dodgers signed free agent infielder Juan Uribe to a three-year $21 million contract, He would soon become a fan favorite. 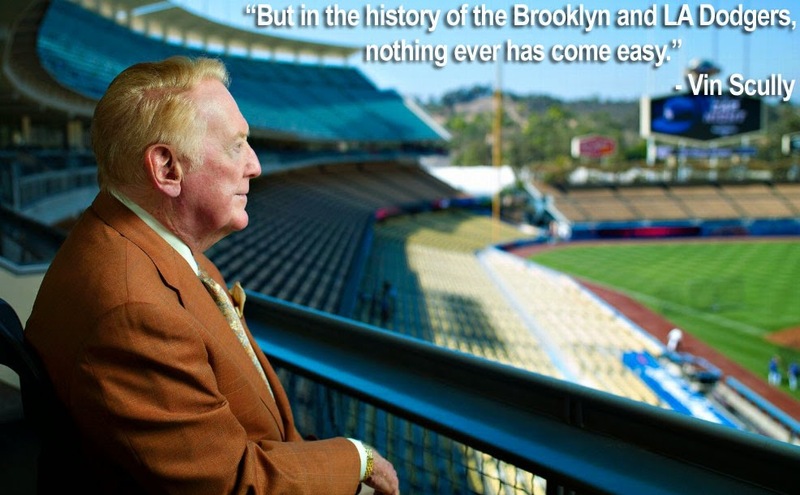 Happy Birthday, Joe Orengo, Irv Noren, Brian Holton & Vin Scully! 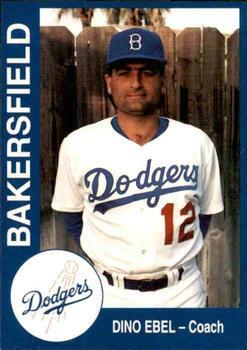 He played and coached in the California League and then he began to just coach for the San Antonio Missions, the Dodger affiliate in the Texas League in 1996. 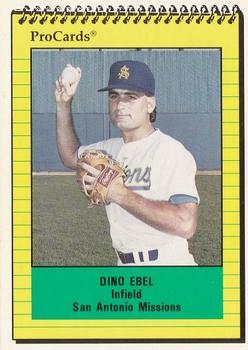 Ebel started his minor-league managerial career for San Bernardino in 1997 and then managed the Dodger Rookie-League team in Great Falls in 1998. He would manage teams in the Northwest, California, South Atlantic and Southern Leagues for the next five seasons until he left the Dodger organization at the end of the 2004 season. This Day in Dodgers History: In 1953 Roy Campanella is the named the National League MVP for the second time in his career. He slashed .312/.395/.611/1.006 with 41 homer runs, a league leading 142 RBI's and recorded 7.1 WAR. In 1956 Don Newcombe was awarded the inaugural Cy Young Award, going 27-7 with a 3.06 ERA. 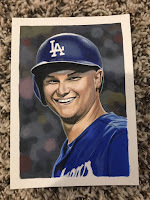 A week prior he was given both the MVP and Rookie of the Year Awards; thereby becoming the first and only player to win all three major awards for a pitcher in one season. Happy Birthday, Jimmy Schmitz, Mike Scioscia & Jimmy Rollins! Walker Buehler dazzled in 2018 with the Los Angeles Dodgers, posting an 8-5 record while having a 2.62 ERA. Buehler pitched an impressive 137.1 innings in his first full year and struck out 151 batters. Buehler was a key part of the success the Dodgers had in reaching the 2018 Postseason and winning their sixth consecutive NL West Division title. 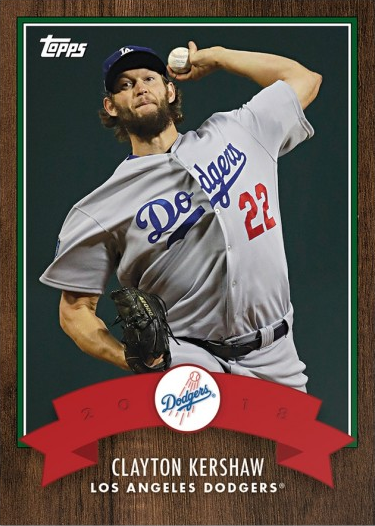 In addition to the Topps Holiday cards being sold at Walmart (link here) Topps has also brought back their 2018 Bowman Holiday card. It is an local hobby shop exclusive giveaway that officially began on Friday, November 16th. 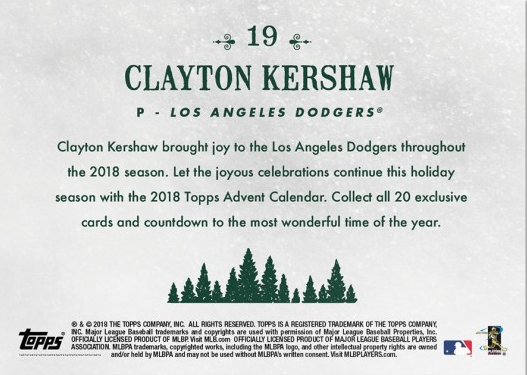 At participating stores you would get a free pack of 2018 Topps Holiday Bowman Baseball cards with a purchase of $10 or more. 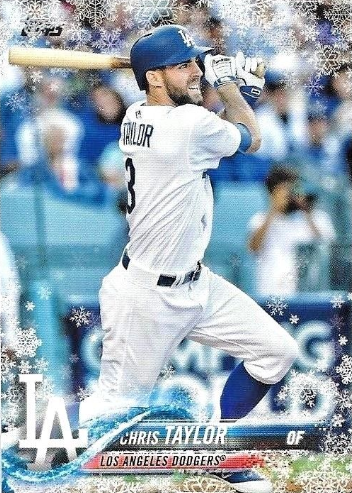 The Base set includes 100 cards and the card design is the same as it's 2018 Bowman brand -- with a Topps Holiday 2018 logo at the corner. Go here for a complete checklist. 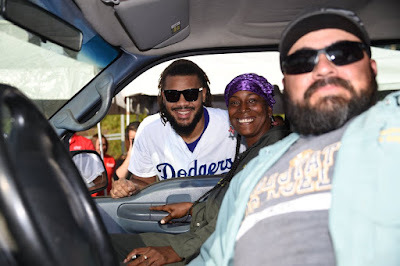 Blog Kiosk: 11/20/2018 - Dodgers Links - Congrats, Adrián! Congrats on a fantastic career! 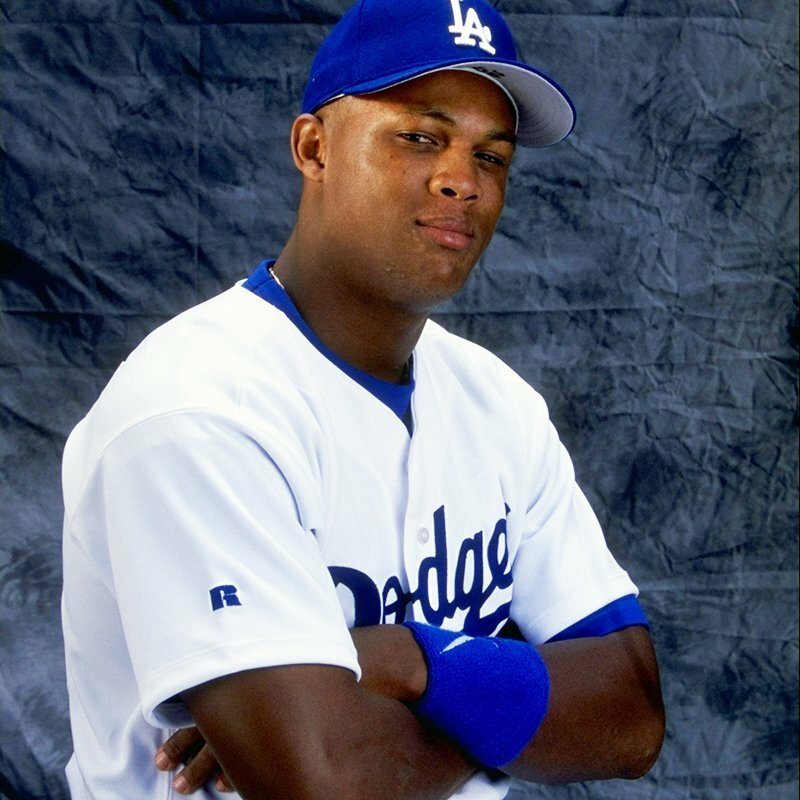 As I'm sure you've heard by now, former Dodger phenom and future Hall of Famer Adrián Beltré has announced his retirement from the game. I have always loved this guy and will always consider him a Dodger. That said, when he enters the hallowed hall of Cooperstown in five years time he'll likely be wearing the cap from Texas, and I couldn't be prouder. He belongs there (no matter what hat he wears), and as much as I hate that he didn't spend more time in Dodger Blue I can't help but feel happy for his accomplishments. 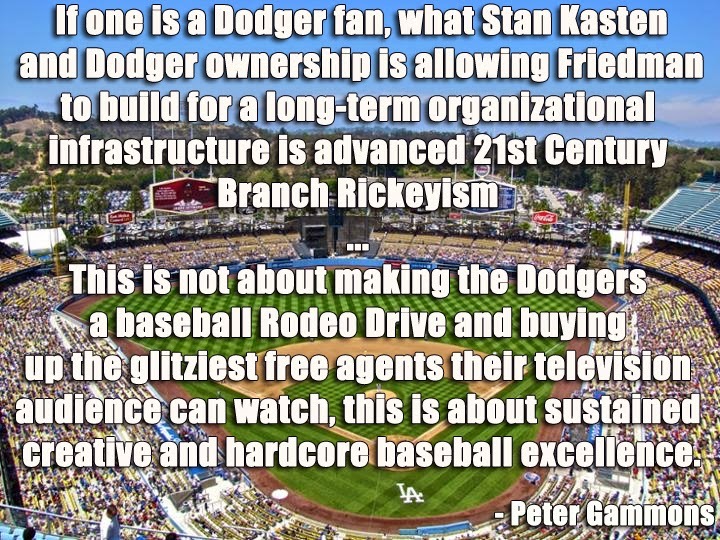 He was one of my all-time favorites, and this Dodger fan can do nothing but tip my cap to him. BTW, you can watch Beltré's first hit and RBI, as called by Vin Scully, here. It was against Angels hurler Chuck Finley on June 24, 1998. Also, Jon Weisman at Dodger Thoughts put up a great piece this morning on Adrián that I thought worth check out. 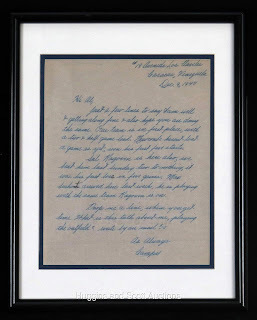 You can also read Beltré's retirement letter here, via a tweet from the Rangers. This Day in Dodgers History: In 2011 the Dodgers signed free agent infielder Luis Cruz. 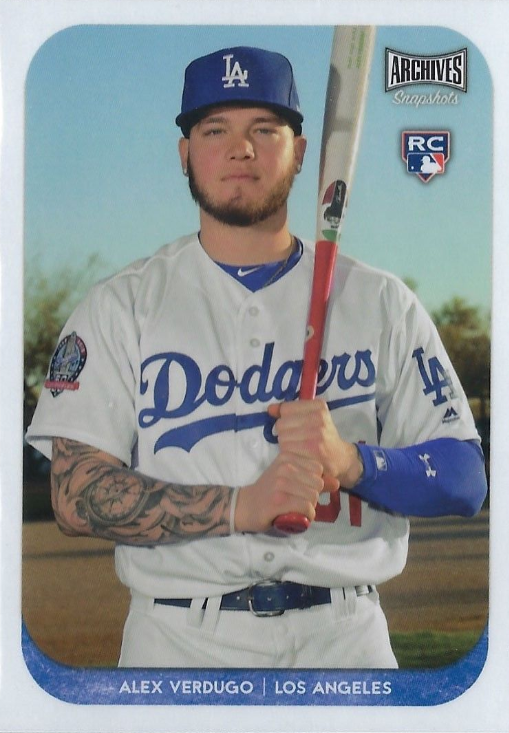 He would have a career year in Dodger Blue; slashing .297/.322/.431/.753 with six homers and 40 RBI's in 2012. In 2014 the Dodgers acquired relievers Adam Liberatore and Joel Peralta from the Tampa Bay Rays for Greg Harris and Jose Dominguez. Happy Birthday, Leon Cadore, Rube Ehrhardt, Jay Johnstone, Rick Monday, JD Drew & Alex Guerrero! With the holidays practically here, it is now time to talk about some of the various sets being put out to celebrate the festivities. First, here's a look at the 2018 Topps Holiday Baseball card set -- a Walmart exclusive. 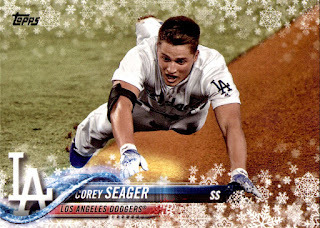 A limited edition 10 pack box is avialable that includes a 200 card base set with a snowflake graphic in the background. You are also guaranteed one hit (Autograph, Relic or Auto Relic card). Check out what the box looks like on the right. Go here to check out a complete checklist. 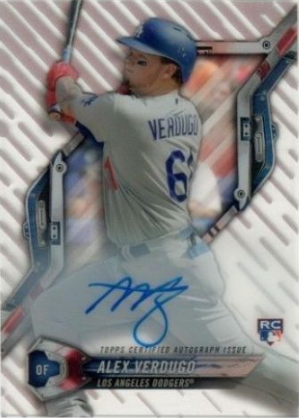 This week saw the official release of Topps Gallery Baseball -- an online and Walmart exclusive card brand. 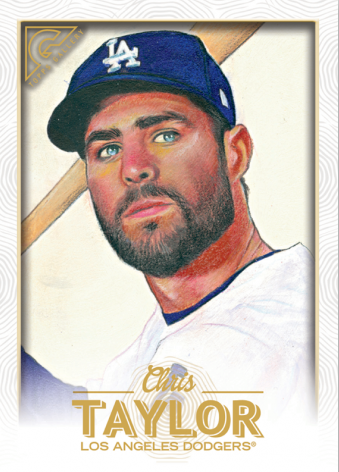 It features a 200 card base set of what is described as hand-painted portraits. 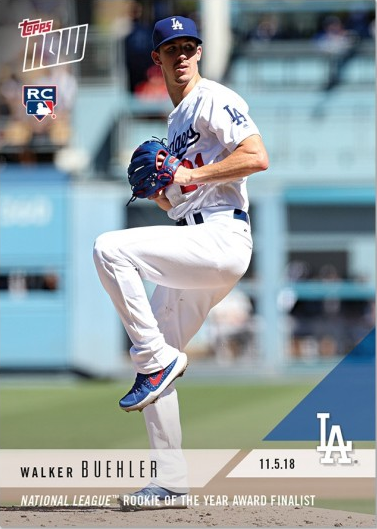 Check out all of the Dodger base cards below. 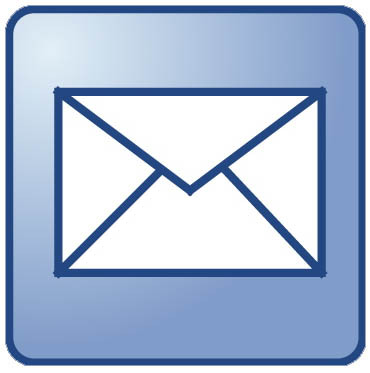 Go here to check out a complete checklist. As I said, they can be found only on the store-shelves of your local Walmart. 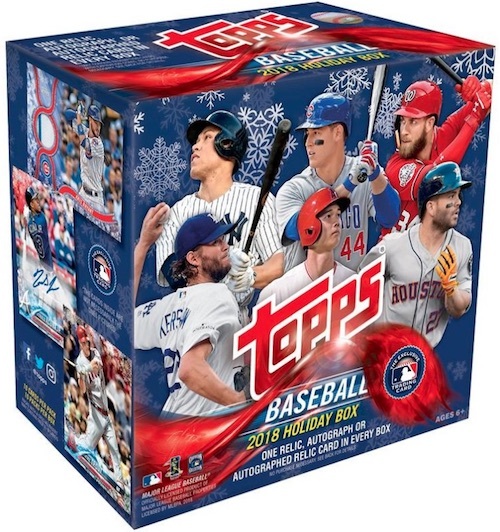 You can also order boxes direct from Topps here. 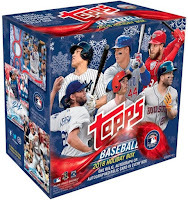 At this time only the 7-pack value boxes are available - the 20 pack hobby boxes are sold out. 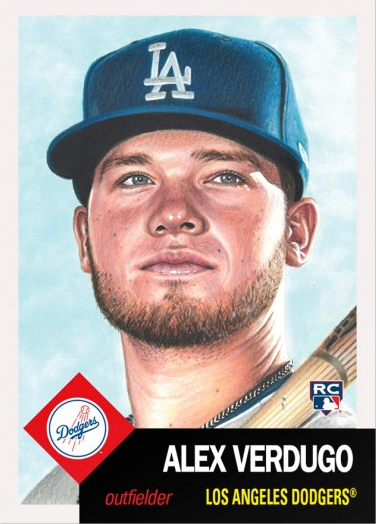 BTW, poster sized versions of these cards are also available directly from Topps. Go here to check those out. I yearn for Spring Training. 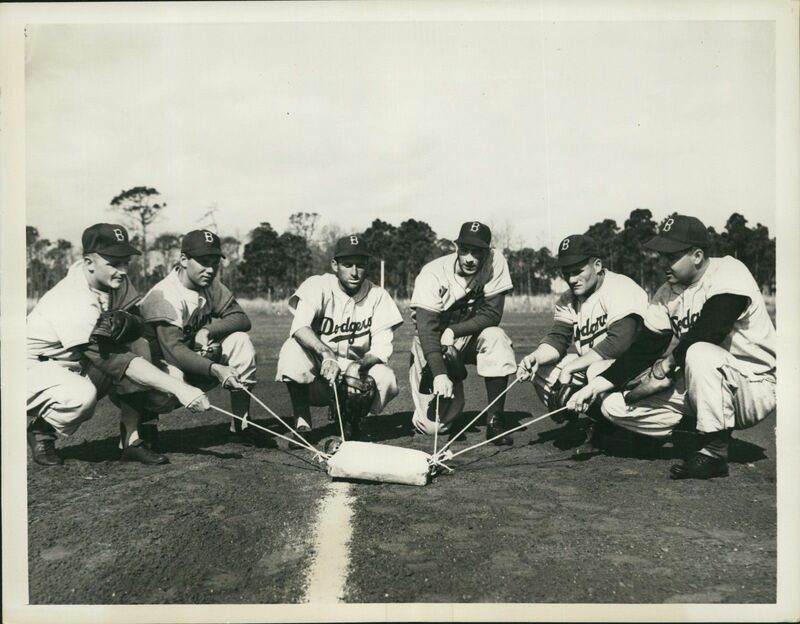 Here is another spring pic (eBay auction link) from Dodgertown in Vero Beach. It features grizzled vet Duke Snider taking some rips at the plate. It is dated on the reverse to January 6, 1961, but that couldn't be right. I can't imagine he, or any ballplayer, would be in Florida this early. 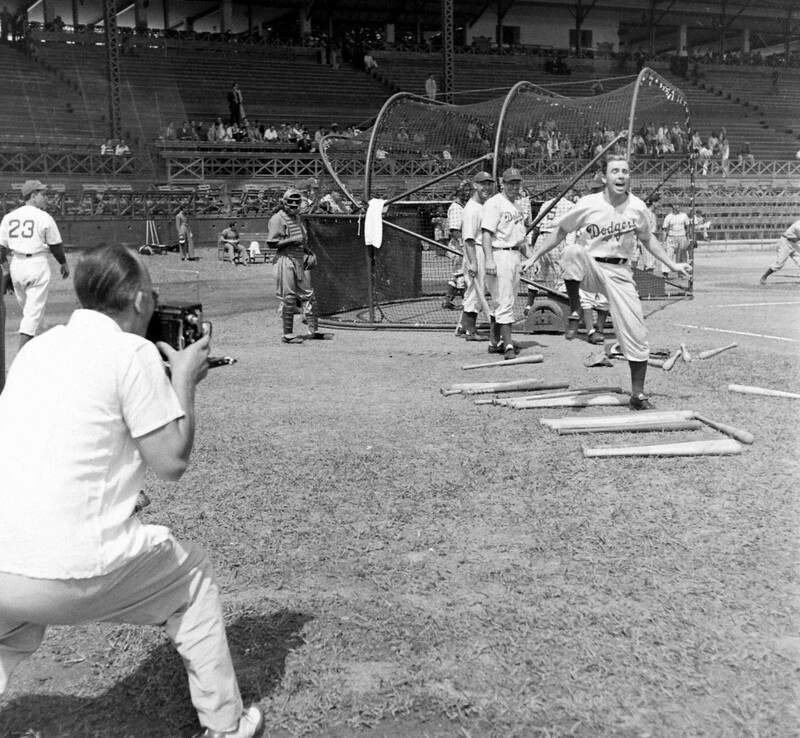 Also, does anybody know who the coach is in the background - likely hitting grounders to eager infielders? 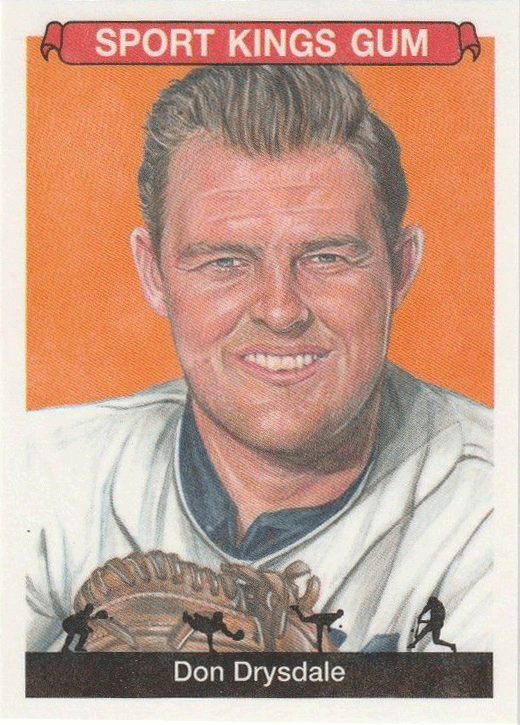 This Day in Dodgers History: In 1962 Dodger Hall of Famer Don Drysdale is named the NL Cy Young Award winner. He went 25-9 with an 2.83 ERA, 19 complete games and 232 strike outs. In 1988 Dodgers outfielder and legend Kirk Gibson was named the NL MVP. 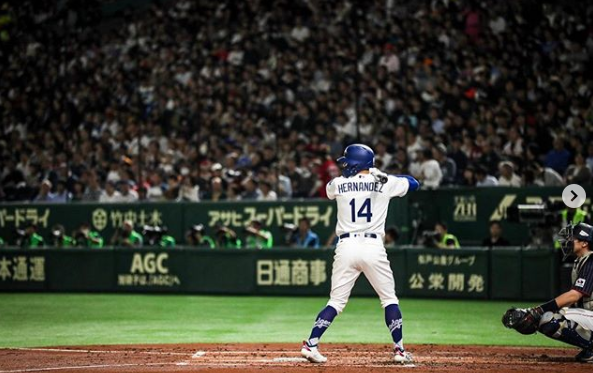 He lead the Dodgers to an unexpected World Series Championship -- slashing .290/.377/.483/.860 with 25 home runs, 76 RBI's and an untold number of highlights throughout the season. In 2016 Dave Roberts is named the winner of the Manager of the Year Award in the National League. The rookie skipper records a 97-71 record to finish 1st in the NL West. Happy Birthday, Pat Ragan, Jay Partridge, Mickey Livingston, Jack Smith & Pedro Borbón! The Hollywood Stars Game was the best. Featured above are 1981 participants John Ritter and Ann Jillian, found on eBay. This Day in Dodgers History: In 1979 the Dodgers signed free agent starting pitcher David Goltz to a six-year $3MM contract. The former eight-year Twins veteran went 9-19 with a 4.25 ERA in three season with the team before being release in 1982. In 2016 Corey Seager is the unanimous winner of the National League Rookie of the Year award. Happy Birthday, Harry Howell, Red Sheridan, Jim Brewer & Tim Hamulak! 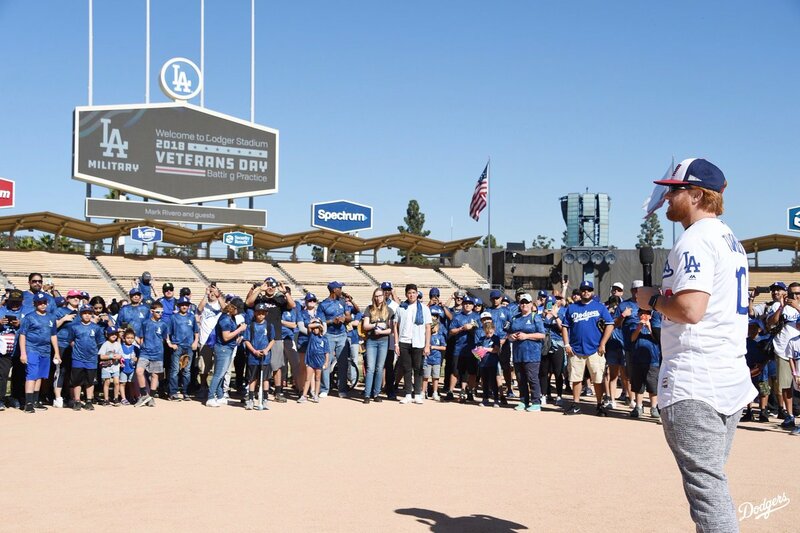 "Being Veterans Day, Veterans Weekend, having a chance to give a little bit of time to say thank you and spend time with the men and women that sacrifice their life, their family, their time to go defend our country is a no-brainer for me," said Turner, who also visited fire evacuation centers in the Los Angeles area last week. "I would have not been anywhere else. "For me, my guy is Justin Turner, because every time I see him, I'm always watching him and he's always saluting the vets and he's always into the vets," Ortega said. "So that's my favorite player right there. He is a good teammate, and it reminds me of all the guys I was with [in the Army]. 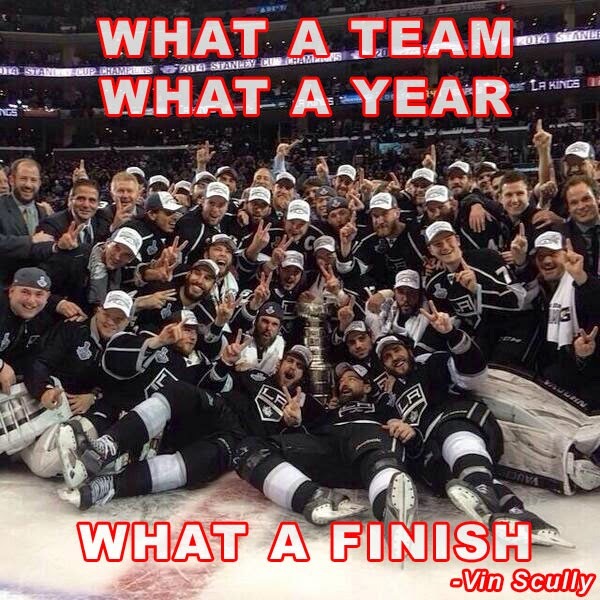 It was all about teamwork." This Day in Dodgers History: In 1974 Steve Garvey was named the National League MVP; receiving 13 of 22 first-place votes. Lou Brock was the runner-up. In 2003 Eric Gagne becomes the ninth reliever to be named a Cy Young winner. He recorded 55 consecutive saves this season. 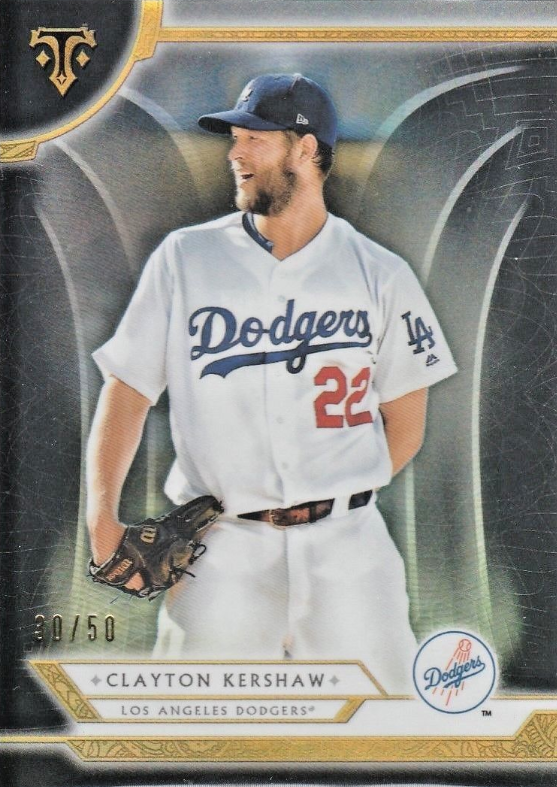 In 2014 Clayton Kershaw becomes the first pitcher to win the National League MVP award since Bob Gibson of the Cardinals in 1968. He received 18 of 30 first place votes. Happy Birthday, Andrew Friedman, Moose Clabaugh, Alex Kampouris, Steve Lembo, Steve Bilko, Wes Parker, Tony Abreu & Carlos Frias! 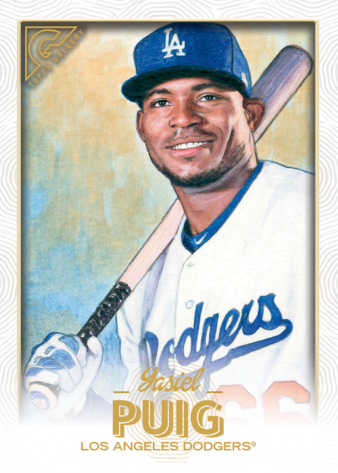 Here is a look at most of the Dodgers inserts available in packs of 2018 Triple Threads. 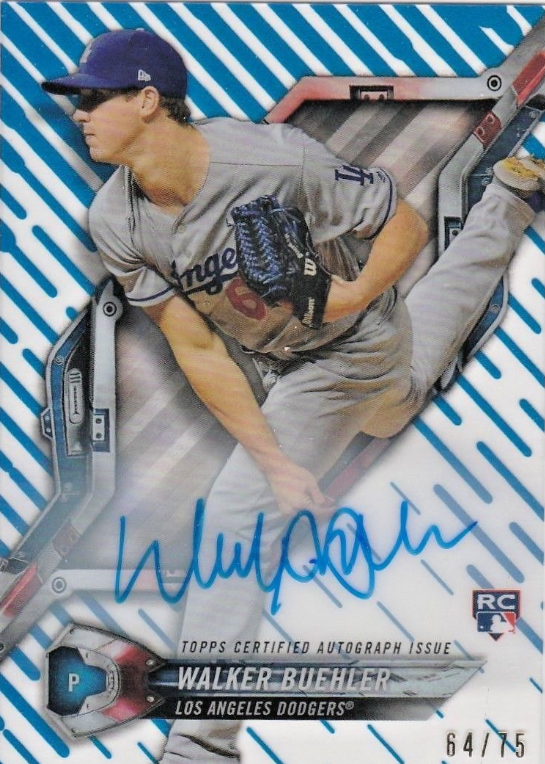 Go here to check out the Dodgers base cards. 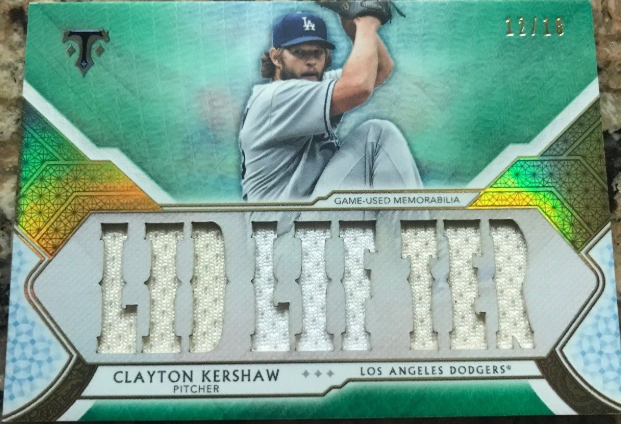 On a side note, it always seems like I learn something new when I see the Triple Threads Relics. As you know, these cards include three game-used uniform relic pieces framed to say some phrase unique to the player. 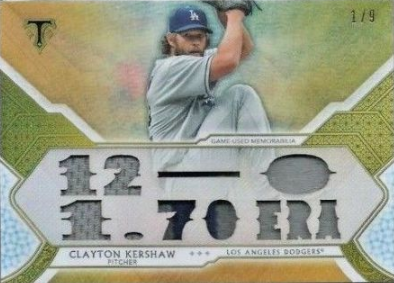 For instance, Clayton Kershaw has a card that includes the phrase, "12-0 1.70 ERA". This is meant to reflect a remarkable streak he had during the 2017 season where he went 16 consecutive games - from May 6th to September 1st - and went 12-0 with a 1.70 ERA. Clayton made his franchise-record eighth Opening Day start in 2018. He suffered his first loss despite allowing just one run, but went 2-for-2 at the plate. Fortunately, a quick Wiktionary search unearthed an answer. 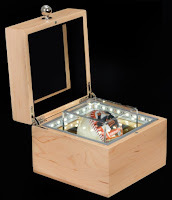 A Lid-Lifter is sports slang for the first game played. Hence, the Opening Day reference seen above. I'd love to know how this idiom came to be. If you happen to know please pass that knowledge along. "The fans have been amazing so far," Hernandez said to the crowd. "Japan has always been a place that I have wanted to come visit. I get to experience this amazing culture that you have here. Playing at the Tokyo Dome has been great." 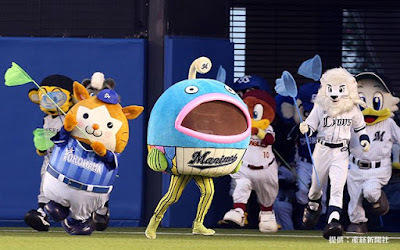 "It's been a little while since I've pitched in that stadium (Mazda Zoom-Zoom Stadium)," Maeda said. "I want to show all my fans in Japan something that they would enjoy. I'll do my best to get as many hitters out as I can and have a good performance." This Day in Dodgers History: In 1986 the Dodgers officially released longtime shortstop Bill Russell -- in order to facilitate his recent retirement from the game. 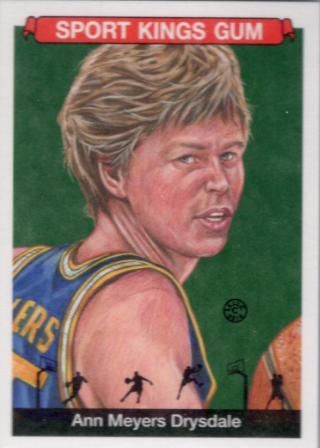 He had an 18-year career with Los Angeles and ranked second in franchise history for games played (behind Brooklyn Dodger Zack Wheat). In 2014 Clayton Kershaw is the unanimous winner of the National League Cy Young Award. It is his third Cy Young. He went 21-3 with an 1.77 ERA, 1.81 FIP, six complete games and two shutouts. He will be named the MVP the next day. Happy Birthday, Jack Ryan, Red Evans & Greg Gagne! 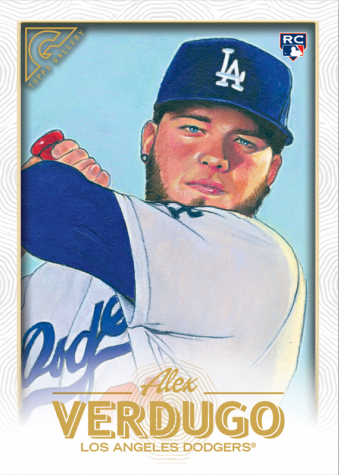 This new Alex Verdugo card makes it the eighth Dodger to be issued in Topps Living Baseball card set -- which seems like an awful lot considering there are only 105 cards available in the set so far. Nevertheless, this Dodger fan welcomes the future Dodger outfielder. 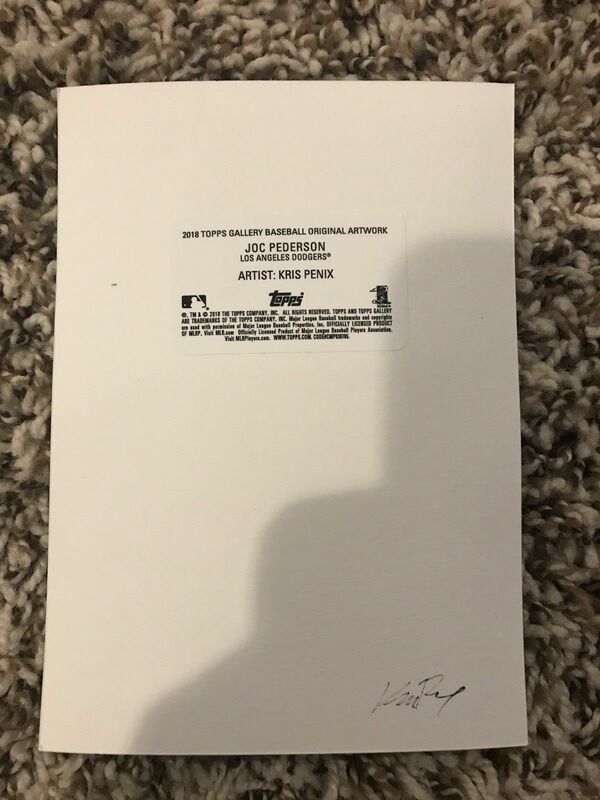 Just last week I picked up my first Dodgers' Living Set card on eBay - it was of Yasiel Puig - and I am very happy with it. I think I'll be adding the rest of the set to my collection soon. 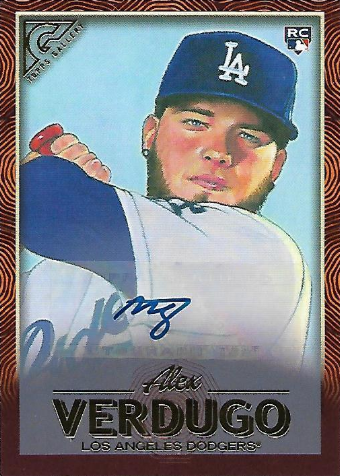 BTW, you can often find them on eBay at prices well below what they cost directly from Topps. Just a few lines to say I am well & getting along fine & also hope you are doing the same. Our team is in first place, with a two & half game lead. 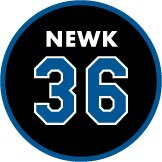 Newcombe hasn’t lost a game as yet, won his first five starts. Sal Ragovin [sic] is here also, we beat him last Sunday two to nothing, it was his first loss in five games. Max Surkont arrived here last week, he is playing with the same team Ragovin [sic] is on. Drop me a line, when you get time. What is this talk about me, playing the outfield? 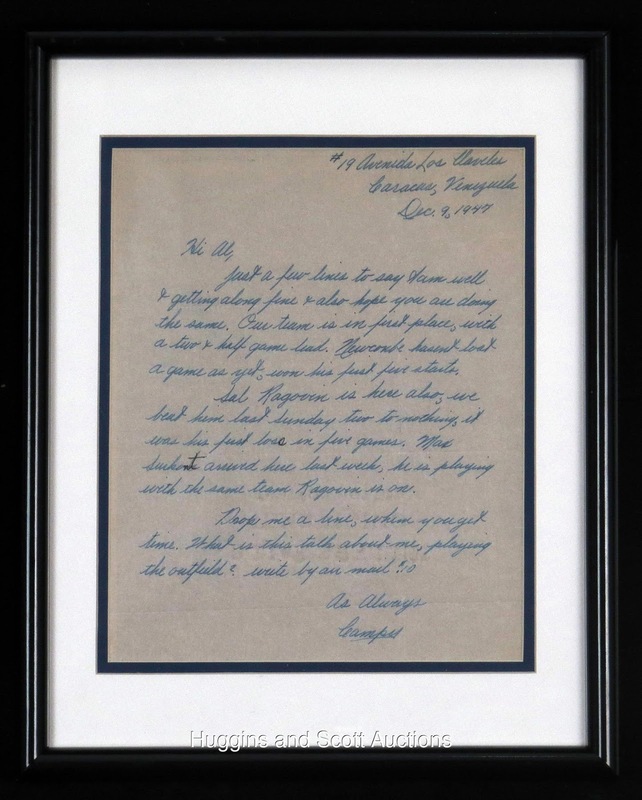 (emphasis mine) Write by air mail $.10. 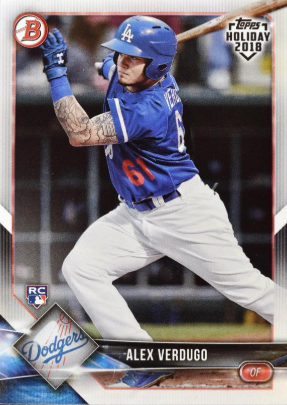 Here's a look at the handful of Dodger inserts found in packs of 2018 Topps High Tek. 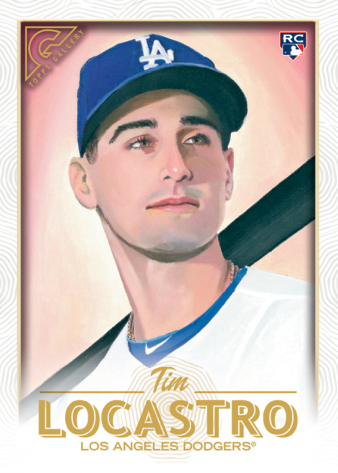 Go here to check out the base cards. 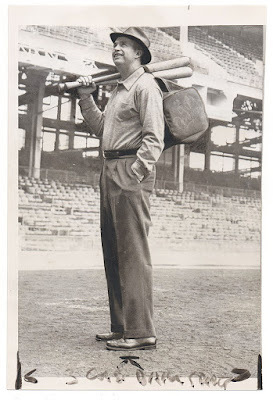 Hail and Farewell -- Brooklyn Manager Walkter Alston, carrying his baggage and a few bats, takes a last look over Ebbets Field before leaing for a long vacation. Brooklynites nursed the father of all hangovers as a result of the cataclysmic celebration that followed the Dodgers winning the first World Series in the history of the borough. 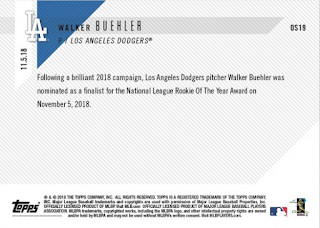 Following a brilliant 2018 campaign, Los Angeles Dodgers pitcher Walker Buehler was nominated as a finalist for the National League Rookie Of The Year Award on November 5, 2018. This just might be the greatest Baseball product ever conceived. No, seriously! This is incredible! Unbelievable! It's fantastically rare and wonderfully artistic. Heck, it's hard to believe any product could ever get better than this. Unfortunately, you have to be filthy rich to buy it. In fact, this product is geared towards the box-breaker phenomenon - so as to share and alleviate the hurt a complete box would cost you. 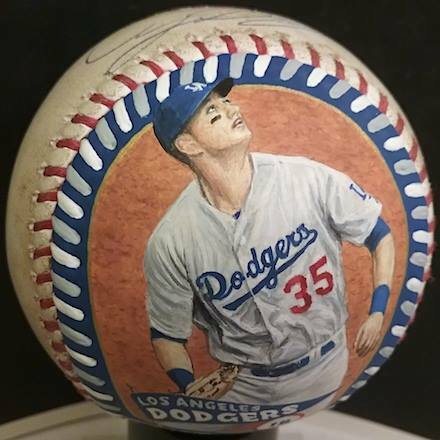 Featured here is the 2018 Piece of the Game Baseball Authentic Masterpieces that consist solely of one-of-a-kind game-used and autographed painted Baseballs by noted artist Monty Sheldon. There are only 15 total boxes being made and each box consist of 10 painted Baseballs. So, there are only 150 Baseballs available for the collecting public. Go here for a complete checklist. You can also check out more pics here. There is no doubt in my mind that their respect and affection for each other is real. As you surely know by now, Dodger batting coach Turner Ward is heading to Cincinnati to take over hitting duties for the Reds next season. As a result, the age of the 'Puig Kiss' is now over. Never again will we get to enjoy the wonder of sloppy wet-ones in the Dodger dugout. Well... At least, we won't be seeing Yasiel Puig manhandling Turner Ward again. And since it's likely all of Dodger Nation will miss this spontaneous love affair I thought it appropriate to make a bunch of fantasy custom Baseball cards to commemorate it. Blog Kiosk: 11/6/2018 - Dodgers Links - Vote! 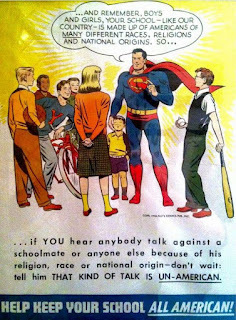 It's Election Day! Vero Beach, FLA... There are plenty of strings attached to the third base job with the Brooklyn Dodgers as these six candidates try the position at the Vero Beach camp of the Bums. Left to right: Bob Morgan, Clarence (Buddy) Hicks, Johnny Jorgenson, Billy Cox, Everett (Rocky) Bridges and Eddie Miksis. 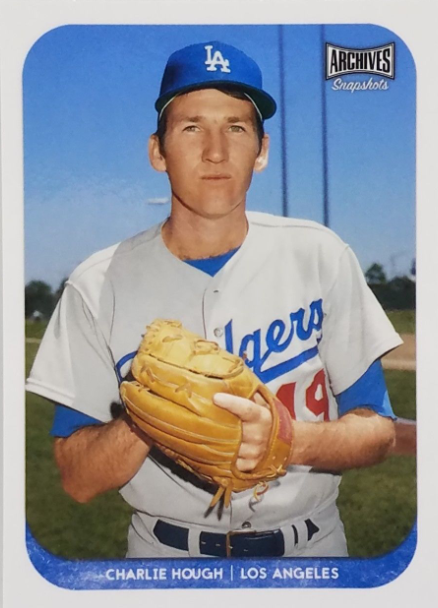 This Day in Dodgers History: In 1974 Dodgers hurler Dr. Mike Marshall becomes the first reliever to win a Cy Young award. 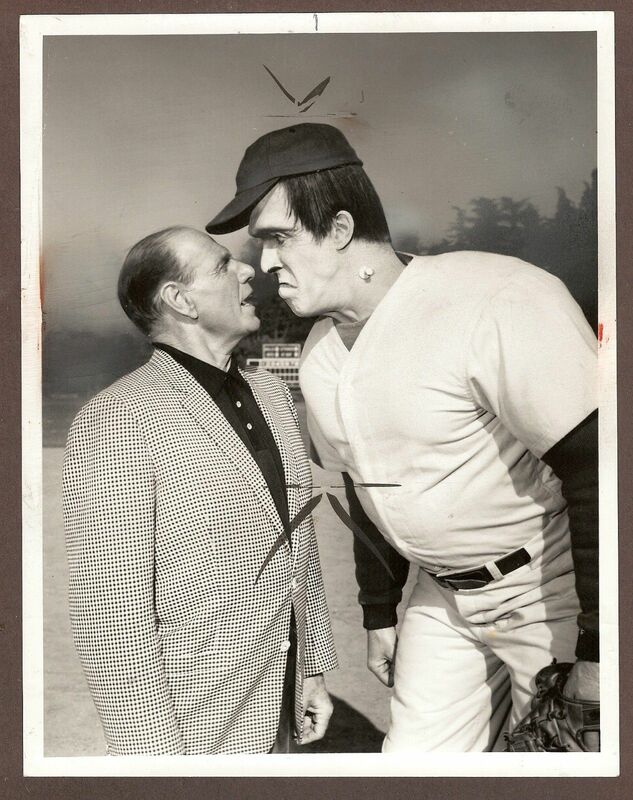 He had set a MLB record for appearances at 106 and innings pitched for a reliever at 208.1. That's right, a reliever threw over 200 innings and got into over 65% of all Dodger games that season. In 1996 Dodger outfielder Todd Hollandsworth is named the winner of the Rookie of the Year award. He is the fifth consecutive Dodger to win this award and the 16th overall in franchise history. In 2006 Dodger fan Charles Littleton, a 22-year old Saginaw Valley State University student, is TASERed by Saginaw (MI) police when he refuses to remove his Dodger cap during a City Council meeting. He is there to receive extra credit for a sociology class. 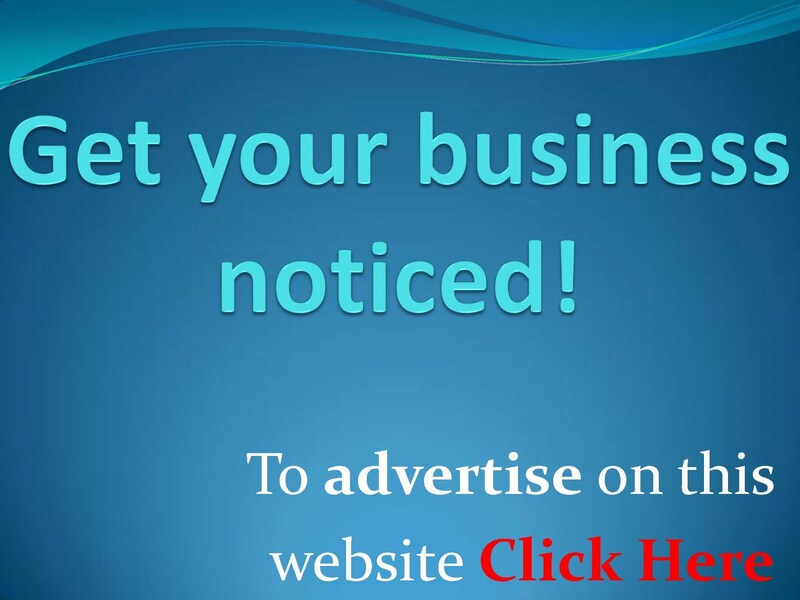 See a news report here. In 2014 the Dodgers officially hire Zaidi Farhan to be their new General Manager. He takes over a position previously held by Ned Colletti. Happy Birthday, Bob Darnell, John Candelaria & Chad Curtis!